MUHAMMAD DANISH DANIAL BIN MOHAMED ANUAR — Thank you for sharing your image. Your work has been selected to appear in the curated search results. Well, of course when I received it, I got really excited since I (finally) got some recognition for my work. So here’s a little story behind the photgraph. Before school starts at 1pm on Tuesdays and Thursdays, I would usually go to work in the mornings at Roxy Square, a small centre below a hotel (Well textbooks aren’t going to pay themselves right). When I finish my work at about 11:30am, I would have my lunch at KFC, located at the shopping mall opposite my workplace’s building. There is an overhead bridge, and then a traffic light I have to cross to get over to the other side. As I make my way there, I would always see this frail elderly uncle in his electrically-operated wheelchair slowly guiding his way through the crowd to get to his usual spot, which was in front of the traffic crossing. 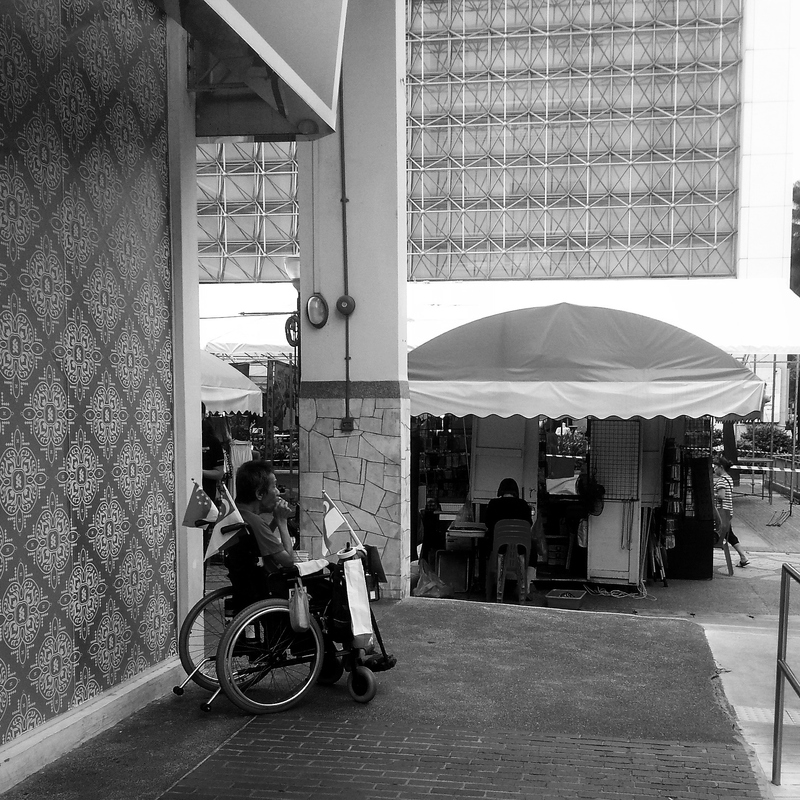 What really caught my eyes was that he had a couple of Singapore Flags planted at every inch of his wheelchair. I was thinking maybe it was due to the Nation’s 50th Birthday season. But I kinda noticed that he still has those flags even many weeks before and days after the National Day season. I’m really kinda touched by his patriotism to his country. In front of the traffic light, he would stop his wheelchair, sit comfortably, place a small box on his lap for passer-by’s to put their money in, and then start playing some tunes on his harmonica as he tries to entertain the public, and at the same time gain some fortune to be able to last through the day. You know, for me, some music would really ease a lot of stress especially after long hours of working. Before leaving for school at about 12 noon, I never fail to deposit some coins I have in my wallet into his money box, and he would give me that grin, and say a sincere, “Thank you”. I really do appreciate the entertainment he is giving to the crowds under the hot scorching sun, and hopefully, currently, he is doing well. What does being selected to the curated search results with Distinction mean?